Philippine Airlines Promo 2015: What’s on your travel bucket list? 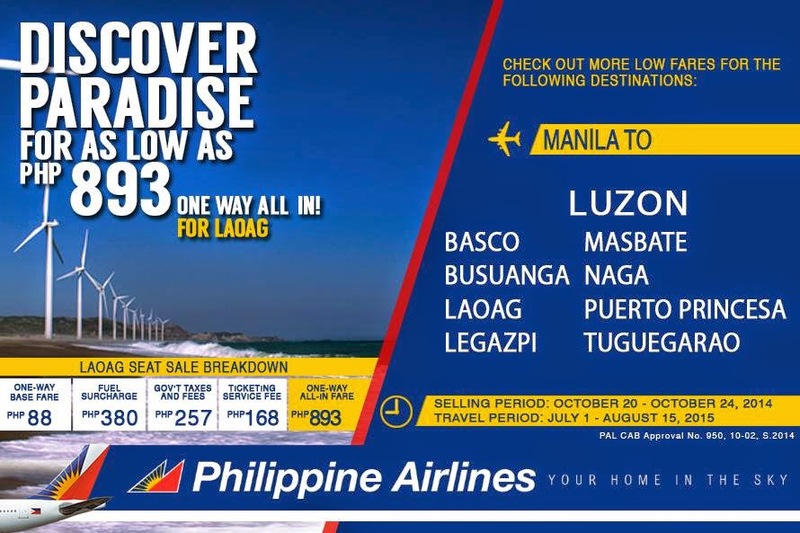 Check out our latest #PALPromoFare to destinations in Luzon and Visayas and start planning your next big vacation! If you are traveling to Luzon, you can check out Basco, Busuanga, Masbate, Naga or Laoag. 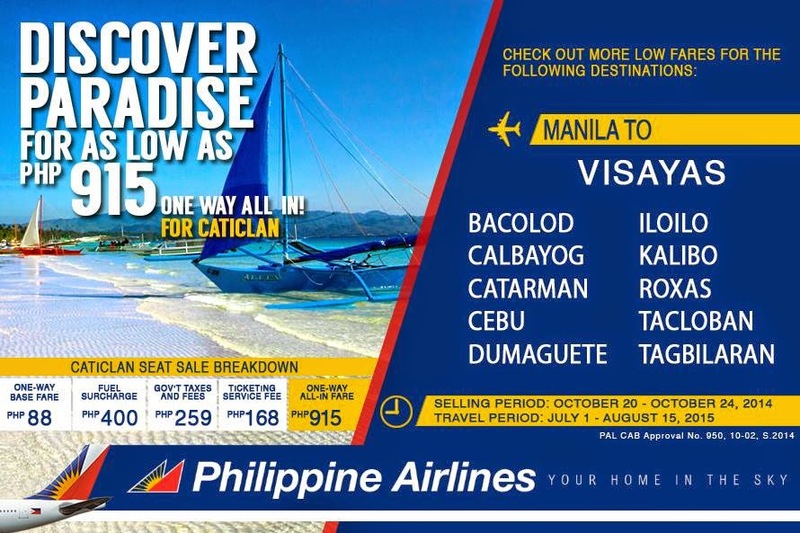 If you are heading to Visayas, Cebu, Bacolod, Dumaguete, or Tagbilaran is a perfect destination! 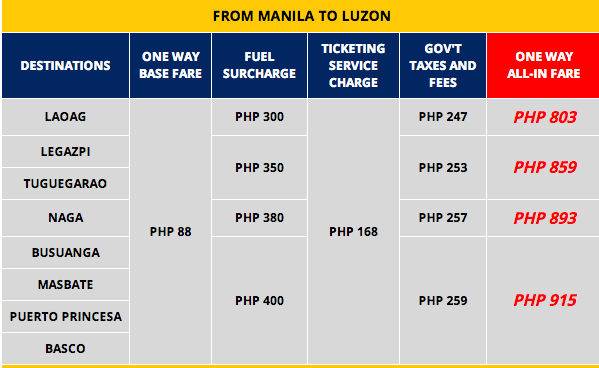 One-way Economy fares are inclusive of fuel surcharge (from PHP 350 to PHP 450 per way), 12% VAT, Domestic Passenger Service Charge/Terminal Fee (PHP 200 for outbound Manila and Cebu), Aviation Security Fee (PHP 15), and Ticketing Service Charge (PHP 168 which may vary if purchased from travel agencies). 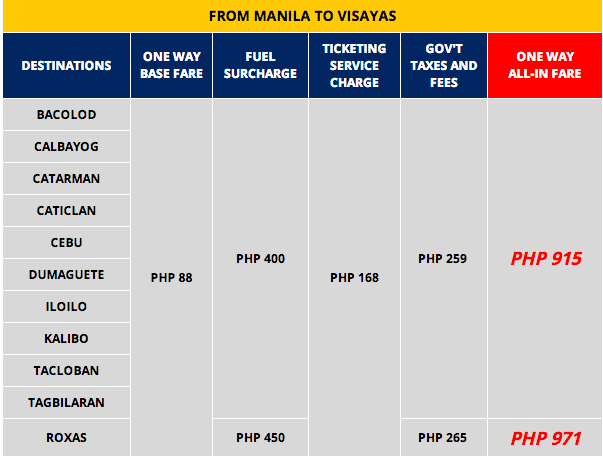 Promo fares are refundable at PHP 1,500 per sector (VAT Inclusive). Re-bookable at PHP 1,500 per sector (VAT inclusive) plus applicable Fare Adjustment. Ticket is considered no show if ticket is not reissued/refunded at least 4 hours prior to flight departure. Go show at later flight not allowed. Infant discount: 90% discount for infant without seat. Senior Citizen and Person with Disability discount: 20%. 75% Mabuhay Miles Mileage Accrual. Book and Buy rule applies. Promo is offered for limited seats only. No show policy will apply as approved by the CAB. Other travel conditions apply. how about manila to cagayan de oro city have any promo? I read about the promo fare for middle east..1,738sar but there is no RIYADH on to choose from the city destination...how can i book the RUH-MNL-RUH? meron po bang promo tickets kayo if ang flight eh april to may 2015 ? Mag inquire lang po sana ako if nagkano po pang Feb.3,2015? How much ,,,january 10 to 18,,my i know please????? PAL will fly to NEW YORK this March 2015!